SEOSuite automatically redirects page not found URLs to relevant pages on your site. 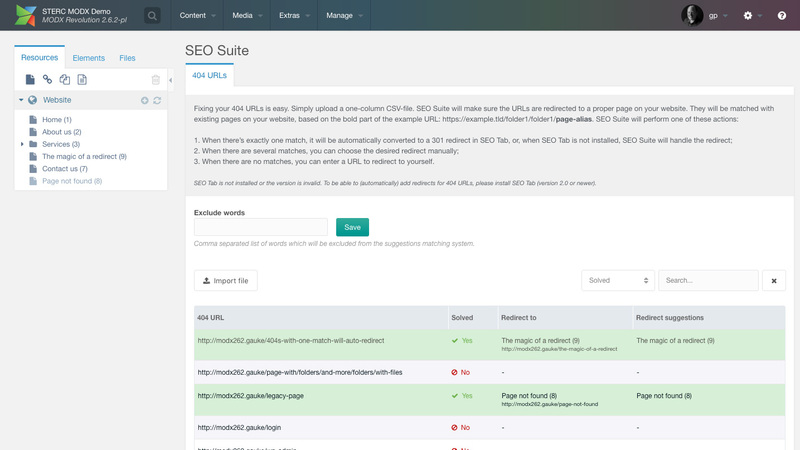 Automatically redirect your 404 URLs to relevant pages on your site with SEOSuite. 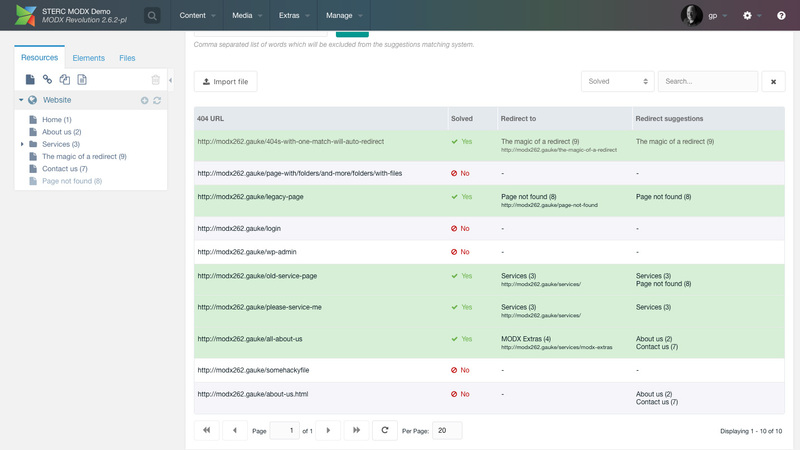 Upload a CSV with old URLs, or monitor page not found events on your site automatically. 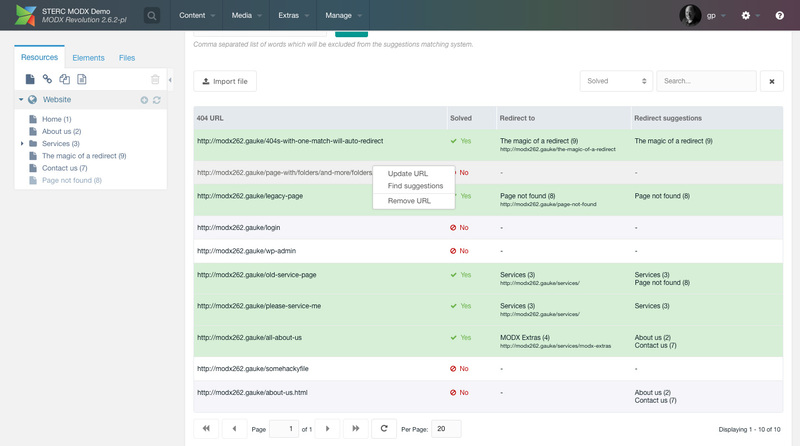 Upload a CSV file with 404 URLs, and let SEO Suite look for similarities between the missing pages, and resources on your site. If it finds a single match, it automatically creates a 301 redirect in SEO Tab. If it finds multiple options, you can set the desired redirect manually. 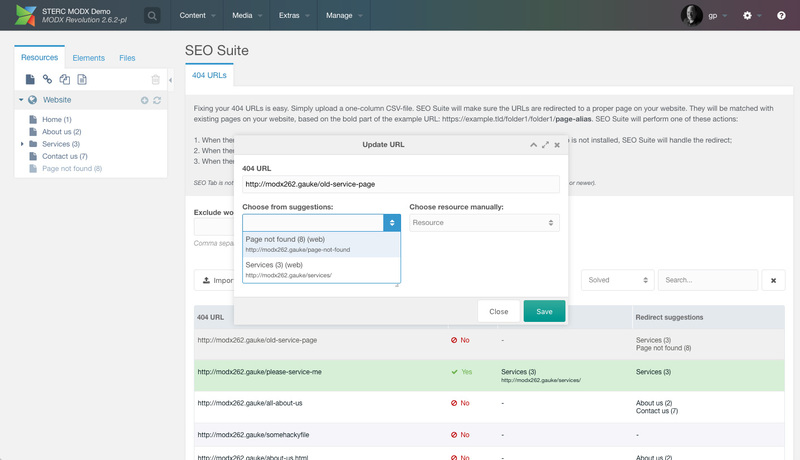 (New in 1.1) SEO Suite automatically tracks when a page not found error is shown on your site. This will be added to the SEO Suite dashboard, and automatically redirected if it finds a match. 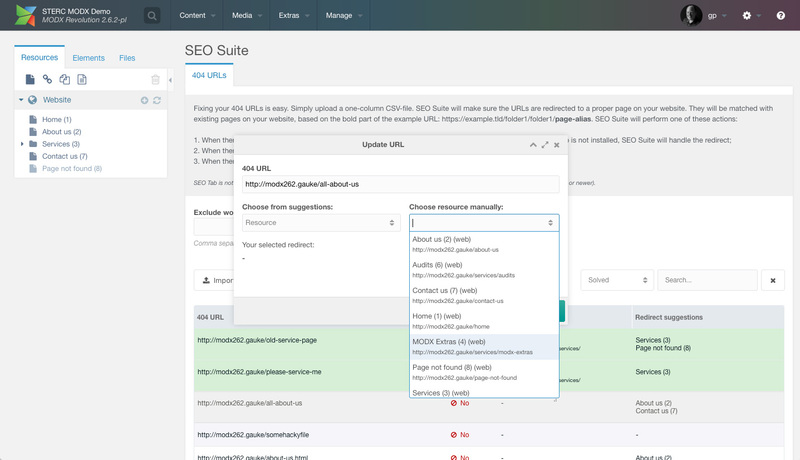 The SEO Suite dashboard widget will show you the 10 most recently added URLs immediately when you login. 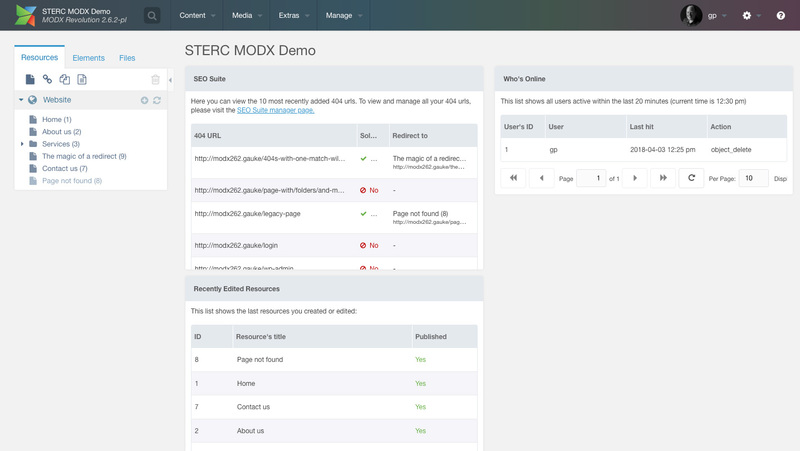 SEO Suite is an extra by Sterc. Get help with extras from Sterc by reaching out to [email protected]. For billing or license questions, get in touch with modmore.